Boys’ Cross Country: Carter Hartzel ‘19 continues to show progress in each performance, setting a new Personal Record at the Blair Academy/Warren County Tech tri-meet on September 15. 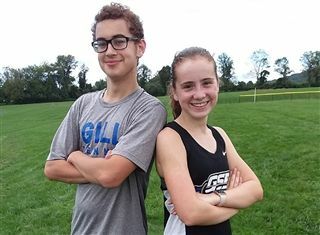 Girls’ Cross Country: Emma Ryan ‘22 showed strength and determination in her performance at the Blair Academy/Warren County Tech tri-meet as third squad runner on the day. 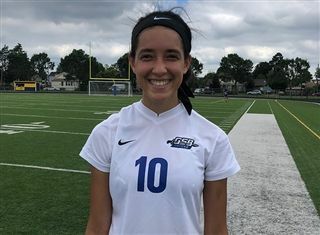 Girls’ Soccer: The girls’ soccer team had an impressive showing last week as the Knights outscored their opponents 15-2. Helping lead the way was Eve Ryan ’19 as she recorded a goal and four assists in games against Bound Brook and Manville. 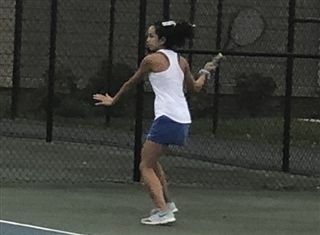 Girls’ Tennis: Ella Baker ‘21 won a hard-fought match at second singles to seal the win against Bridgewater-Raritan on September 14. This win helped the Knights earn the 19th ranking in New Jersey. Be sure to stay tuned as we cover all the Knights’ teams during the fall 2018 season!